The authorizing legislation of MCC requires that MCC publish both in the Federal Register and on our website a number of reports. This report identifies the criteria and methodology MCC uses to determines countries that are eligible for MCA assistance for FY19. This report identifies the criteria and methodology MCC uses to determines countries that are eligible for MCA assistance for FY18. This report identifies the criteria and methodology MCC uses to determines countries that are eligible for MCA assistance for FY17. This report identifies the criteria and methodology MCC uses to determines countries that are eligible for MCA assistance for FY16. 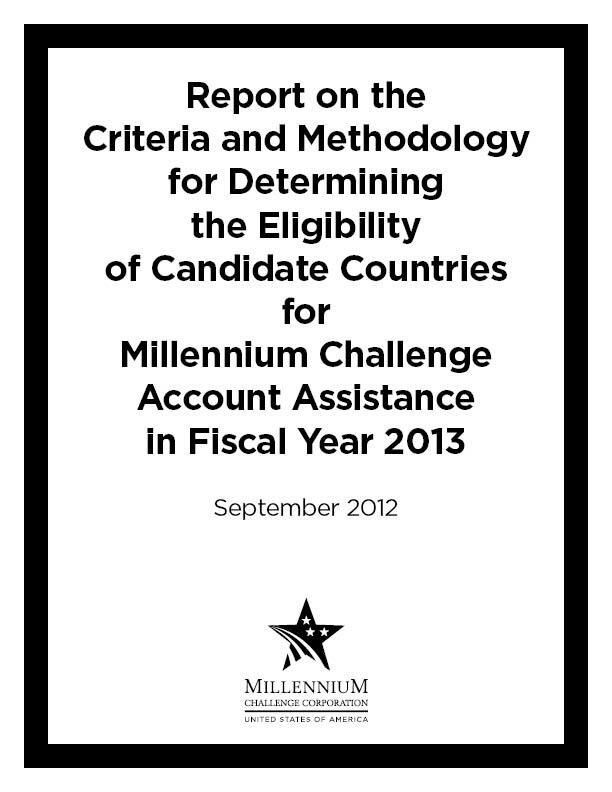 This report identifies the criteria and methodology MCC uses to determines countries that are eligible for MCA assistance for FY13.